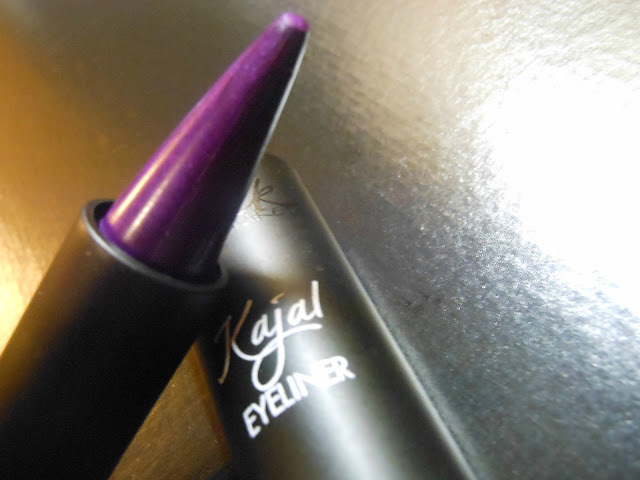 I'm a big kajal liner fan, their pointedness, their ease of use and their smudgeable ways have all attracted me and kept me coming back for more. One of my all time favourite liners is Estée Lauder's Dramatic Teal and that just happens to be of the kajal variety too. Coninkadink? I think not. 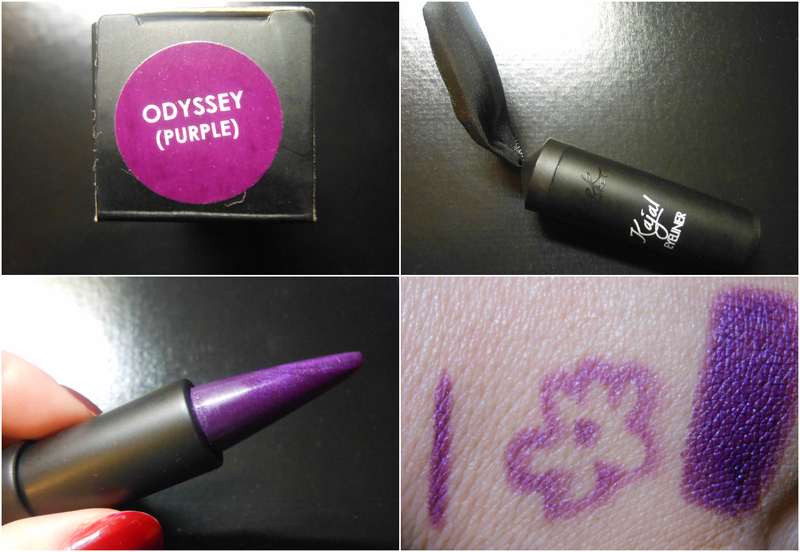 When I caught sight of Sleek's Kajal Eyeliner in Odyssey Purple then, I knew it had to be mine. The first thing that struck me with this Sleek version was the packaging. A thick black plastic bullet with firm click closing, always a pleasure to use. There's a black ribbon on the base, which you use to pull your liner bullet free. 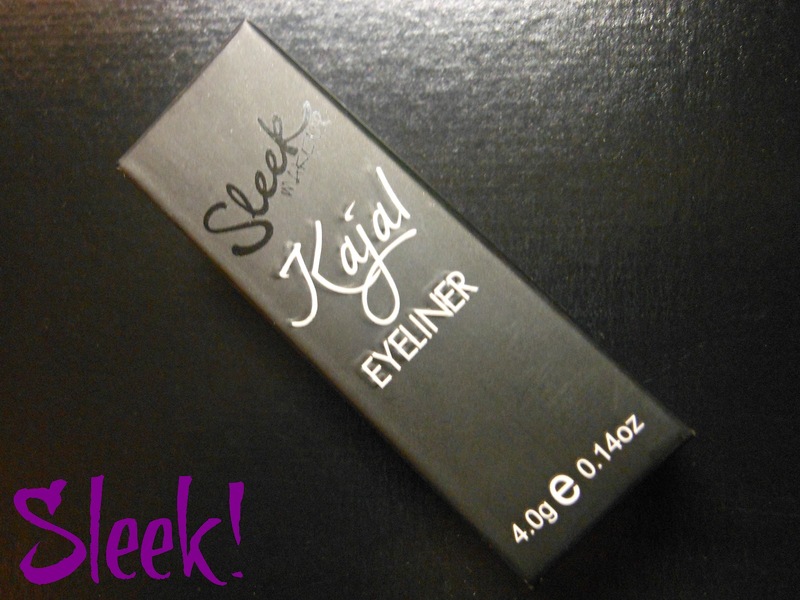 It's an unusual casing that goes back to the original kajal liners of India and I likes it. Lots. The formulation is highly pigmented purple with a subtle silver microshimmer to bring brightness to your peepers, but despite the shimmer it is beautifully soft and ideal for comfortable use on the waterline. You have about a minute from application to smudge Odyssey to your desired effect until it dries, when that happens it's virtually unbudgeable until it's removed with cleanser when your day is through. The precision point is another fantastic aspect of these liners, it allows you to place your line perfectly first time, every time. I always use it sideways so as not to blunt the tip, they can be a bit of a pain to sharpen when I don't. Rubbed all over the eye, you can also achieve a vibrant purple shadow or base for a colourful look. Again, once it's dry on the lid, it won't budge or crease. Sleek liners are available online from both BeautyEmporium.ie and Cloud10Beauty.com or, of course, from your local Superdrug, priced at €8. (€4 for Black). Are you a kajal fan? Oh these look fun to use! I can imagine it would be a pain when it goes blunt but it looks quite versatile and good for people like me who struggle to perfect eyeliner! It's so pretty, I love the packaging and purple is my go-to eyeliner colour. Gorgeous. Nice post Sue Jordan. Sleek Kajal Eyeliner is well worth to use.